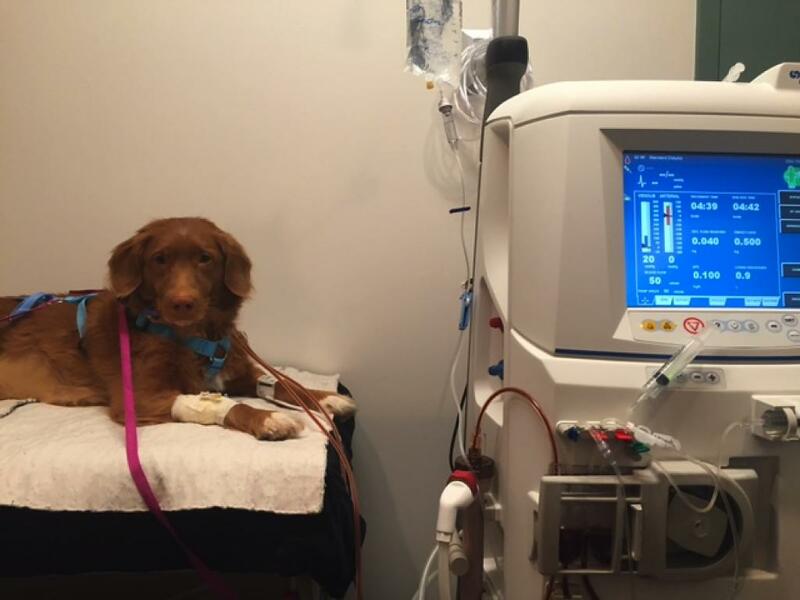 A few weeks ago Bluebell — a Nova Scotia duck tolling retriever — became our first dialysis patient when she suffered from acute kidney injury due to leptospirosis and arrived at our hospital less than 24 hours after our new dialysis machine was installed and became operational. It is a bacterial infection that can affect a dog’s blood, liver and kidneys. The bacteria that cause the illness are primarily carried by rats, but dogs, livestock, raccoons and skunks infected with the disease can pass it on. There are 250 strains (“serovars”) worldwide; approximately 10 are important for dogs, and rarely, for cats.